Amidst the #racetogether controversy last week, Starbucks customers received an email promoting the company’s latest offering from their Reserve Roastery: a premium coffee subscription. For $24 a month, customers can become the proud recipient of an 8.8oz bag of small-lot coffee, delivered to their door. Bags of green coffee at the Starbucks Reserve Roastery and Tasting Room. Image courtesy of Starbucks. A barista at the Reserve Roastery and Tasting Room in Seattle. Image courtesy of Starbucks. Announced earlier this year, the Reserve Roastery and Tasting Room is a move upmarket for Starbucks. 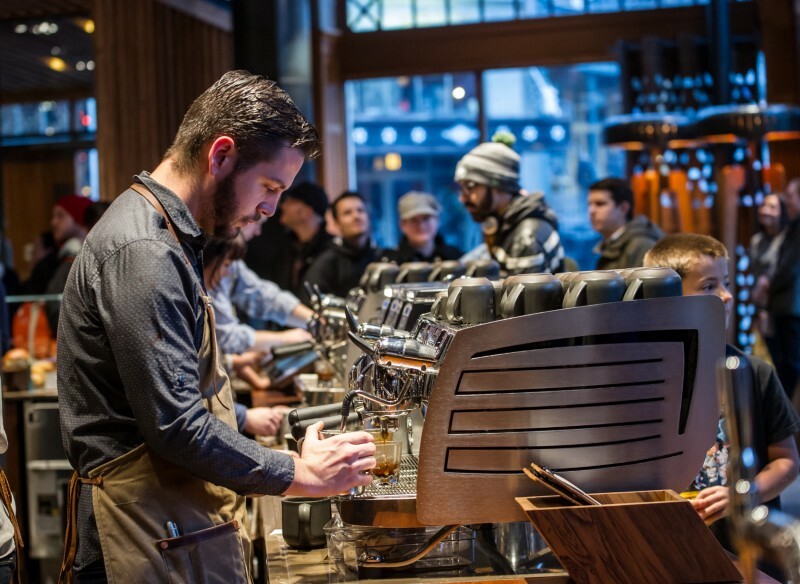 Described on the their website as a “one-of-a kind coffee shrine,” the flagship Seattle store integrates immaculate roasting paraphernalia into a cafe experience. Patrons choose from a menu of single-origin coffees that have just been roasted on site, such as the Peru Amazonas from a farming co-op deep in the Amazon rainforest. The Reserve Roastery coffee subscription offers customers across the country access to the premium coffees sold at the Seattle shop. But this time around, the company that hooked Americans on $4 cappuccinos is playing catchup. Independent specialty roasters such as Intelligentsia, Counter Culture, and Stumptown have long been respected for their small-lot, single-origin coffee. And Blue Bottle, meanwhile, has been the leader in coffee subscriptions since it acquired the ecommerce-savvy Tonx about a year ago. A few of the growing number of specialty roasters respected for their small-lot, single-origin coffees. 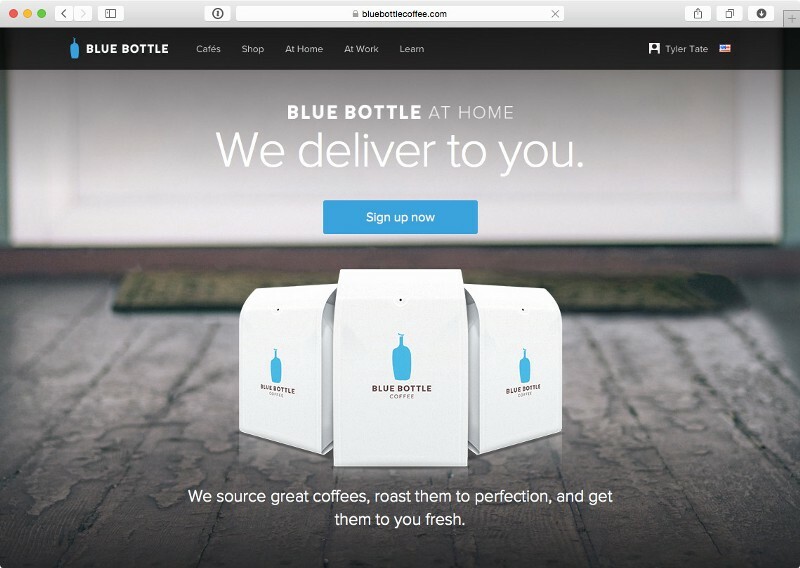 Blue Bottle’s coffee subscription page. Beyond Blue Bottle, there have been a host of upstarts who have emerged to curate coffee subscriptions of all shapes and sizes. Craft Coffee and Mistobox will choose bags of coffee for you according to your preferences. Angels’ Cup will send you blind samples for you to taste test. And Bean Box will curate an assortment of coffees sourced solely from Seattle-based roasters. The newest entrant to the coffee subscription scene, however, offers an alternative to the choiceless ‘curated-for-you’ approach. Crema.co lets customers pick out the coffees they’d like to try for themselves, and add them to a personal “brewlist.” They then set a delivery frequency, and receive the next coffee on their list each time, like a Netflix queue for coffee (disclosure: I’m the company’s founder). Crema.co is also unique in that customers are able to buy coffee directly from their choice of independent roasters, rather than being locked-in to products from a single roaster, such as Starbucks. 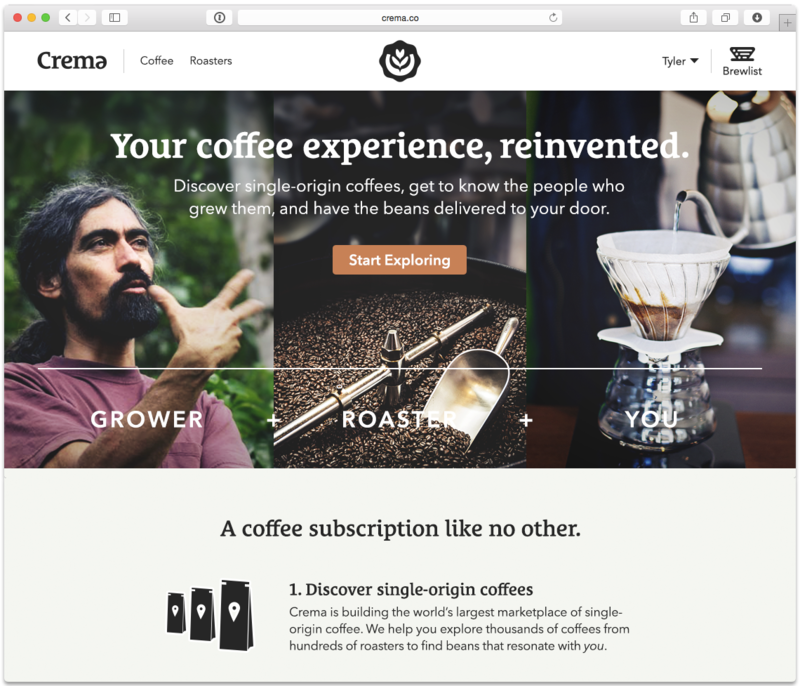 Crema.co is currently running a Kickstarter campaign to build an online marketplace for single-origin coffee. With such growing interest in both premium coffee and subscription services, the Starbucks Reserve Roastery coffee subscription is an obvious, if overdue, move for the company. But will customers be willing to swallow the $24 price tag? Have you tried an online coffee subscription before? What was your experience?